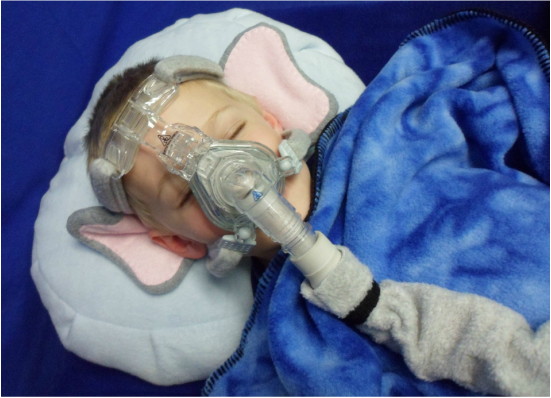 Pediatric Line - SnuggleHose: CPAP Covers, Headgear, & Accessories. Enhance the pediatric CPAP experience. Dress for bed as a dog, a cat, an elephant, or a rabbit. 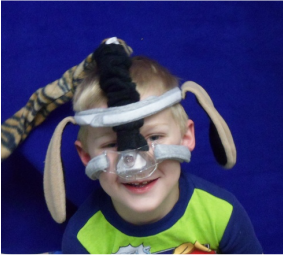 Ears attach with Velcro to neoprene headgear or to our soft and cozy fleece headgear... Now available in child size!